Famed for its dramatic gorges, a network of narrow rifts which meander 50kms through the countryside, the Tarn is also home to some historic cities, beautiful towns, charming chateaux and rolling vineyards. So you'll find many of the great charms of France here. The best places to stay in the Tarn vary widely from camp sites to chambres d'hotes to luxury hotels. Capital of the region is Albi, a colourful town full of historic charm and notable as the birthplace of Henri de Toulouse-Lautrec. It's a good base for exploring the wider region if you prefer to be in a town, with some evening action. Come in the summer months and wonder at the sparkling waters of the River Tarn running between steep cliffs and canyons, making this a truly spectacular place to explore by kayak or canoe. As well as the gorges, the Tarn has three major mountain ranges, which really add to the scenery - some of the peaks are above 3000ft. The rest of the countryside is fertile, with plenty of orchards and vineyards breaking up the views. Kayak or canoe along the picturesque River Tarn. Explore the historic city of Albi. Marvel at the Sainte-Cécile Cathedral. Sample the cheeses of the Black Mountain. Climb the steps to the windmill of Lautrec. 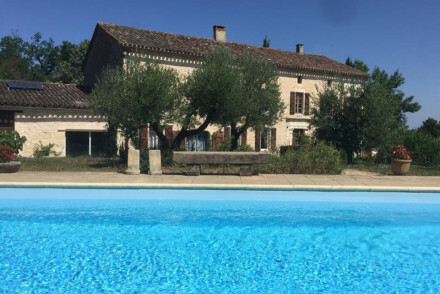 The best places to stay in the Tarn can get very busy during the peak months of July and August, especially those either in Albi or close by. So plan ahead and book early, or else come during the quieter months when you can appreciate the region without the crowds. Chateau de Salettes is a quiet and comfortable rural chateau with a Michelin starred restaurant serving wines from the chateau's own vineyard. They also run regular art exhibitions. 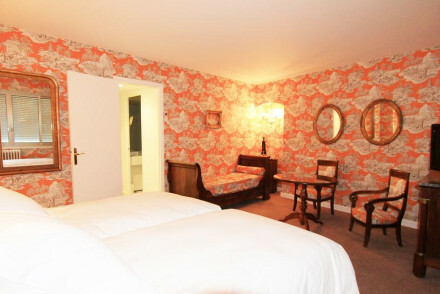 Despite the flashy sounding write up, the 13 rooms start from just £106 per night. La Reserve in Heritage Listed Albi, is a smart, 22 room hotel set amongst picturesque gardens overlooking the river. There's fishing, sailing and tennis on offer, as well as the local sights. The fact that this hotel was a favourite of the Queen Mother lends it additional pedigree. The Cuq en Terraces offers stylish rooms, beautiful walled and terraced garden, outdoor pool and delicious food. 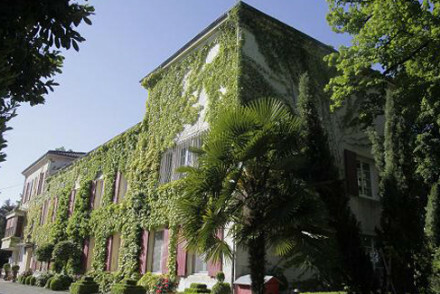 Hotel Cap de Castel is surrounded by sunflowers in the summer months. Rooms are romantic and the food is french fine dining. Great for couples or romantics. 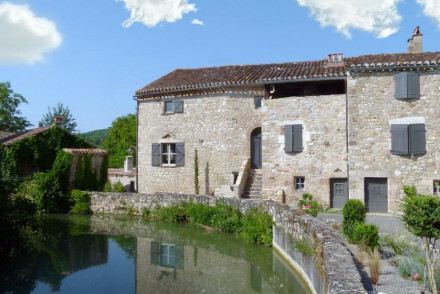 Domaine de Rasigous is perfectly situated for exploring Abli, Toulouse and Carcassone. 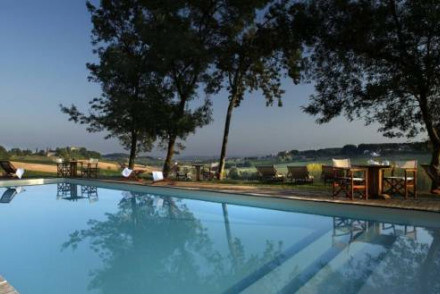 Plus it offers outdoor pool, excellent restaurant and charming grounds. Set in a beautiful early 20th century house, La Villa de Mazamet carries the class and comfort of that era into its hotel service. The elegant rooms are decorated with warm colour schemes and tasteful furniture. 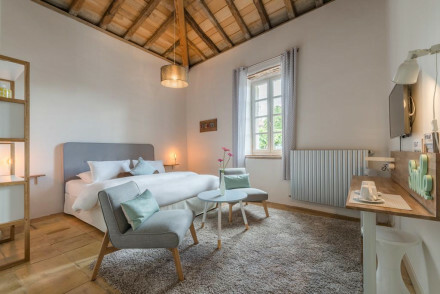 Domaine d'en Naudet is a beautifully restored B and B with characterful bedrooms and contemporary bathrooms. It provides the perfect idyll from which to enjoy the picturesque rolling countryside. Fly to Blagnac Airport which has services across France and internationally. Le Sequestre Airport, Montvale Airport and Mazamet Airport are all under 30km from Tarn and have flights regionally. Tarn is a year-round destination but for those in search of the sun travel between the months of May - September when temperatures range between 21°C - 30°C. Browse through our list of all the best places to stay in Tarn. Widen your search to include all our recommendations in nearby Toulouse. 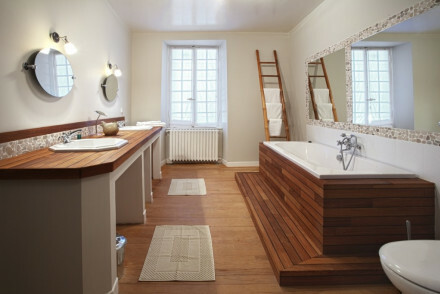 A beautifully restored B and B with characterful bedrooms and contemporary bathrooms. It provides the perfect idyll from which to enjoy the picturesque rolling countryside. Relax by the outdoor pool or enjoy day trips to nearby towns steeped in history. Sights nearby - Visit the nearby town of Albi and explore Saint-Cecile Cathedral and the Berbie Palace. Traditional - Original features including wooden beams, stone fireplaces and teracotta tiles. Views - Breathtaking views of the rolling countryside. Local markets - A lively steet market in Laveur. With its pretty buildings, luscious green gardens and swimming pool, Chateau de Touny is the perfect spot for relaxation. Individually styled guest rooms are chic and comfortable. Sit outside on the sun terrace and enjoy Gaillac wines straight from Chateau de Touny's very own vineyard. Sights nearby - Visit the episcopal City of Albi, the Saint-Cecile Cathedral and the Berbie Palace. Local markets - There are 5 different markets in Albi. A picturesque light stone country house surrounded by woodlands and offering wonderful views of the surrounding countryside. Rustic chic rooms are light and spacious with large sash windows, antiques and softly patterned fabrics. 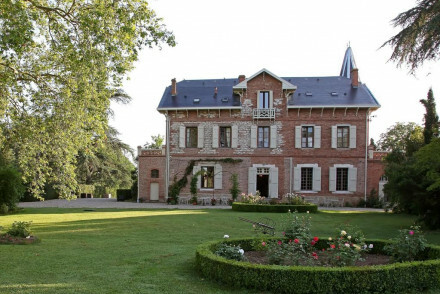 A tranquil base to explore the Gaillac region from. Country Escape - A charming country house offering a secluded and beautiful location. Sights nearby - Discover the beautiful architecture in the UNESCO World Heritage Site of Albi. Great walks - Take long scenic walks starting straight from the property. 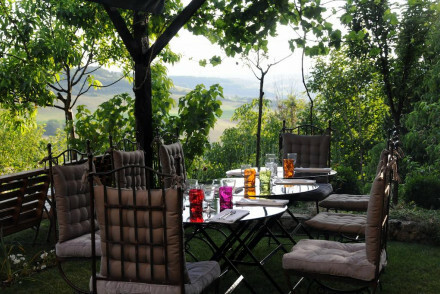 A beautiful hotel in a stunning location surrounded by sunflower valleys. Romantic rooms combine charming rustic decoration with all the mod cons for luxurious effect. Lovely pool and gardens, and an excellent French fine dining restaurant. Ideal for foodies and couples. Luxury - Rustic, romantic, but every bit luxurious. Views - Stunning views over sunflower valleys. Foodies - A French fine dining restaurant. 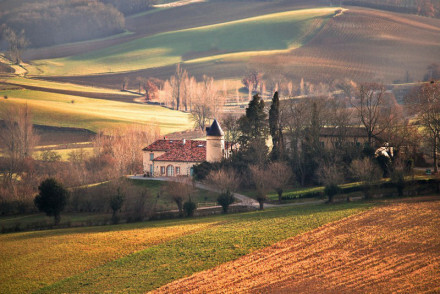 Sights nearby - Saint-Felix-Lauragais Castle, Church of St. Felix and Stade du Travet. 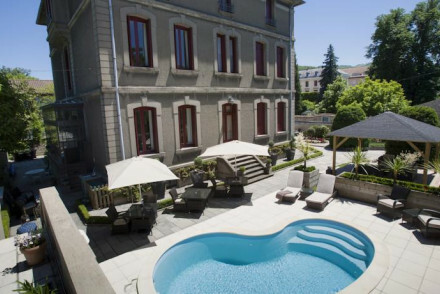 A beautifully renovated manor house hotel just outside Albi, Carcassonne, and Toulouse. Romantic rooms and suites have creamy furnishings and all the mod cons including DVD players. Excellent restaurant, swimming pool, massages, and stunning parklands to wander through. Sophisticated luxury. 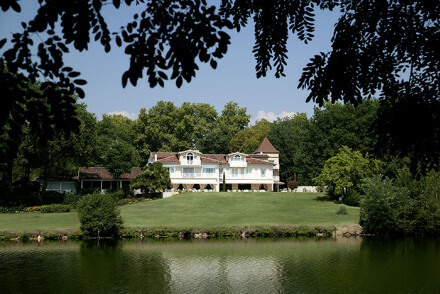 Total relaxation - Excellent food, lovely rooms, views, massages, country air, and a pool. Sights nearby - Albi, Carcassonne, Toulouse are all nearby. 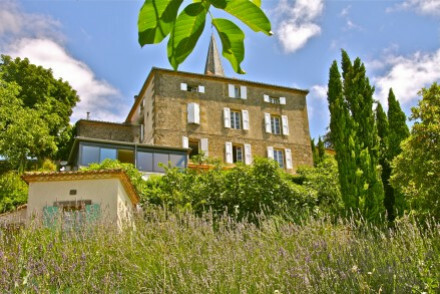 A charming B&B set at the foot of the picturesque old village of Cordes sur Ciel. The interiors are simply styled with exposed stone, white washed walls and the odd work of contemporary art. An ideal base for exploring the historical region from. Local exploring - Well positioned for exploring the historic towns and villages of the region. Sights nearby - Situated just 15 miles from the historical city of Albi which is also a UNESCO World Heritage Site. A charming rural B&B offering just three rooms overlooking the pretty garden. Rustic chic accommodation has a farmhouse feel with white washed exposed stone and simple pine furniture. Boasting an enormous pool, hearty breakfasts and ever warm hosts. Ideal for a peaceful country escape. A family run B&B set in a picturesque light-stone house surrounded by rolling hills. Classically styled rooms are filled with antiques and all have their own individual character. Outside find a large pool, hot tub and a string of horses for riding enthusiasts to enjoy. A charming rural stay. Discreet retreat on a sleepy hillside hamlet with beautiful panoramic views. 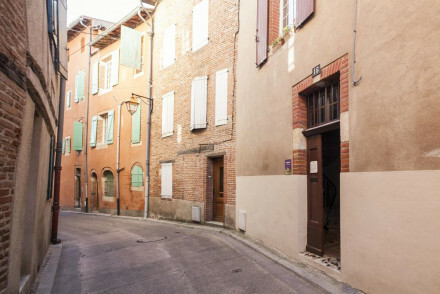 Double rooms and two private apartments are available for couples wanting a comfortable, peaceful getaway midway between Toulouse, Albi and Carcassonne. For people who want something low-key with delicious food. Great walks - Plenty of walks around the beautiful gardens and surrounding countryside. Cooking classes - Cooking classes can be arranged on site by gourmet chef. A picturesque stone house boasting fantastic views over the historical village of Vindrac. Beautifully renovated throughout the feel is traditional yes unfussy with antiques standing besides white washed walls and plenty of light throughout. A choice stay to explore the region. Local exploring - Located in a charming town well situated for exploring the historical region. Sights nearby - Visit the 15th century Romanesque Church of Saint Martin. 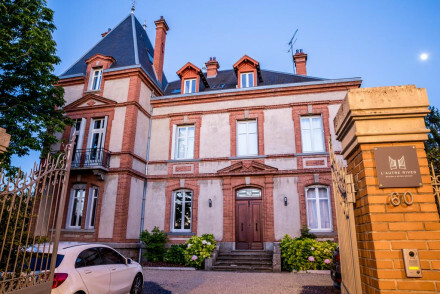 An elegant red brick castle set in beautiful countryside just outside of the historic town of Albi. Light spacious rooms feature wooden floors, large sash windows and a choice selection of antiques. Spend days lounging by the glistening pool and sipping on the superb regional wines. Country Escape - An elegant rural property set in picturesque countryside. Sights nearby - Discover the historic town of Albi and marvel at its famed bridge and cathedral. Great walks - Enjoy beautiful walks starting straight from the property. Set in a beautiful early 20th century house, La Villa de Mazamet carries the class and comfort of that era into it's hotel service. The elegant rooms are decorated with warm colour schemes and tasteful furniture. Recline poolside in the landscaped garden or indulge in some spa therapy. Total relaxation - With plush rooms and a luxury spa as well as delicious food and a welcoming homely atmosphere. Local exploring - An ideal base for exploring, Carcassonne, Albi, Mazamet and the surrounding Regional Park. Sights nearby - History buffs will be glad to hear the magnificent Lastours Castle is just twelve miles from the hotel. Local markets - Browse the local market at Mazamet and pick up a few treats to bring home with you. 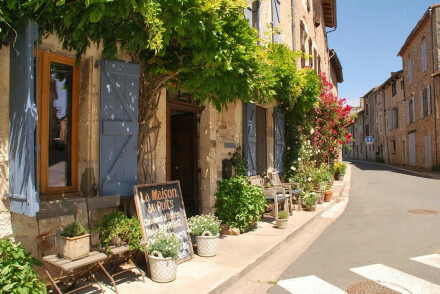 A charming owner-managed B&B in a quaint village of southwest France. Beautifully restored throughout. Find exposed beams, stone walls, parquet flooring and cast iron beds. With boundless activities from wine tasting to cycling in the surrounding area this is the perfect French getaway. 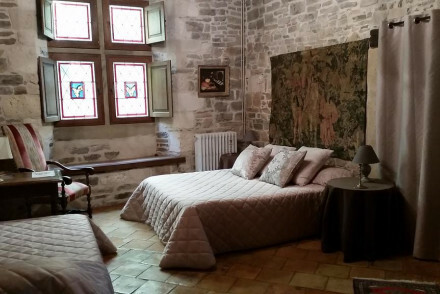 Local exploring - An authentic and intimate stay in a pretty medieval village. The ideal base to explore southwest France. Sights nearby - Visit the UNESCO heritage sites of Albi’s cathedral and the Canal du Midi. Great walks - Find miles of scenic walking trails starting from Puylaurens. 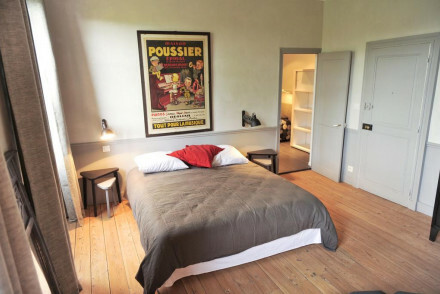 A boutique B&B set in the heart of the historic town of Cordes-sur-Ciel. A handful of individually styled rooms are traditional yet unfussy with softly patterned fabrics, a choice selection of antiques and luxurious bathrooms (the best have free-standing baths). Local exploring - Well positioned in the historic town of Cordes-sur-Ciel for exploring the region. Sights nearby - Make a trip to the historic city of Albi (a UNESCO World Heritage Site). Kayaking - Kayak along the scenic Aveyron. 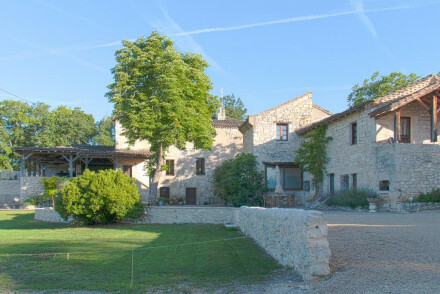 A 13th century medieval house, turned hotel, in the heart of the historic town of Cordes-sur-Ciel. A handful of rooms are brimming with character featuring exposed stone walls, wall tapestries and antiques. An atmospheric base to explore the region from. Local exploring - Well placed to discover the historical towns and villages of the region (as well as the vineyards). Sights nearby - Make a trip to the UNESCO World Heritage Site of Albi and marvel at its beautiful Sainte-Cécile cathedral. 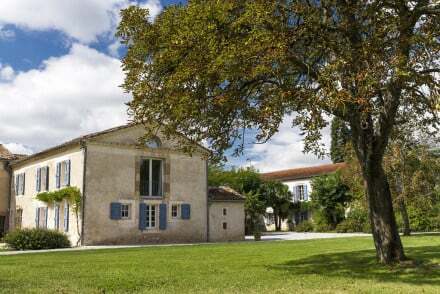 A picture perfect French country house complete with light blue shutters, manicured gardens and even a turret or two. Interiors are traditional and chic with exquisite antiques and billowing linen drapes. Centred around a beautiful pool this is the perfect south of France escape. Country Escape - A French rural idyll complete with chic interiors, a glorious pool and beautiful countryside. Great walks - Enjoy long walks starting straight from the property's front door. 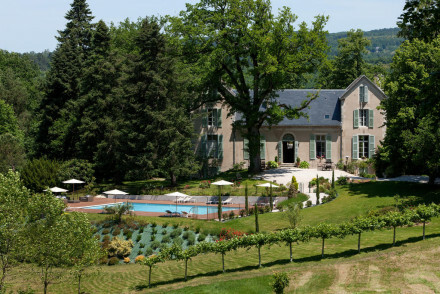 The tranquility and comfort that this rural chateau boasts is a perfect chance to relax, even for families. But, with a Michelin-starred restaurant, wines from the vineyard, regular art exhibitions and surrounding historic cities Toulouse and Carcassonne, it never gets boring. 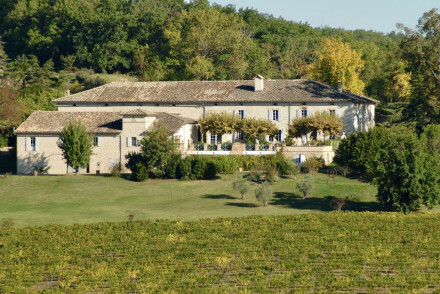 A pretty white-stone country house boasting a tranquil spot in a charming part of rural Gaillac. Housing just three spacious rooms simply styled in soft hues and dotted with antiques. A large swimming pool and tennis court offer on site entertainment plus there's plenty to explore in the region. Country Escape - A picture perfect country house boasting a secluded spot with lovely views. Great walks - Walk from the property through the surrounding vineyards and forests. Local markets - Visit one of the many bustling markets in neighbouring towns. This exquisitely designed country guesthouse, with exposed stone walls, locally carved furniture and traditional textiles, offers several spacious rooms. Children will love spotting the llamas living on the estate, and the pool is designed with families in mind. A stylish but homely family retreat.